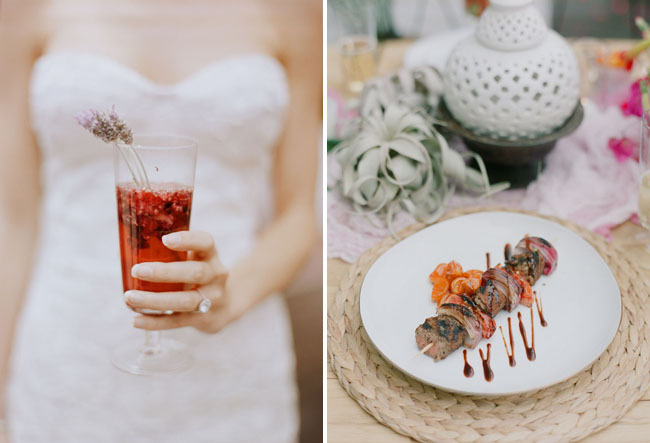 If you’ve already clicked through the latest issue of Rue, you may have seen this absolutely gorgeous shoot conceptualized by the talented team at GATHER Events + produced by the lovely ladies from Be Inspired PR! 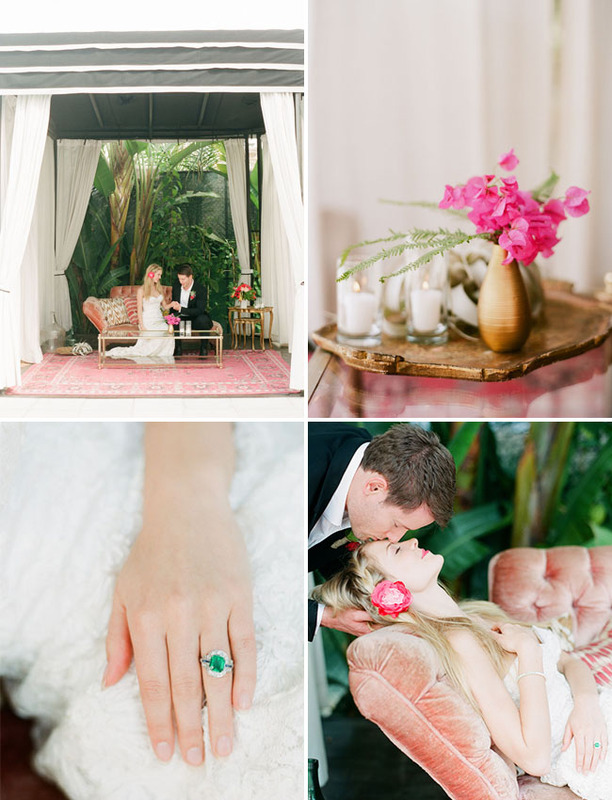 I’m thrilled to be sharing more images from the shoot today here on GWS. The pool deck at the Shangri-La Hotel in Santa Monica was the perfect backdrop for some playful + bright summer wedding inspiration. 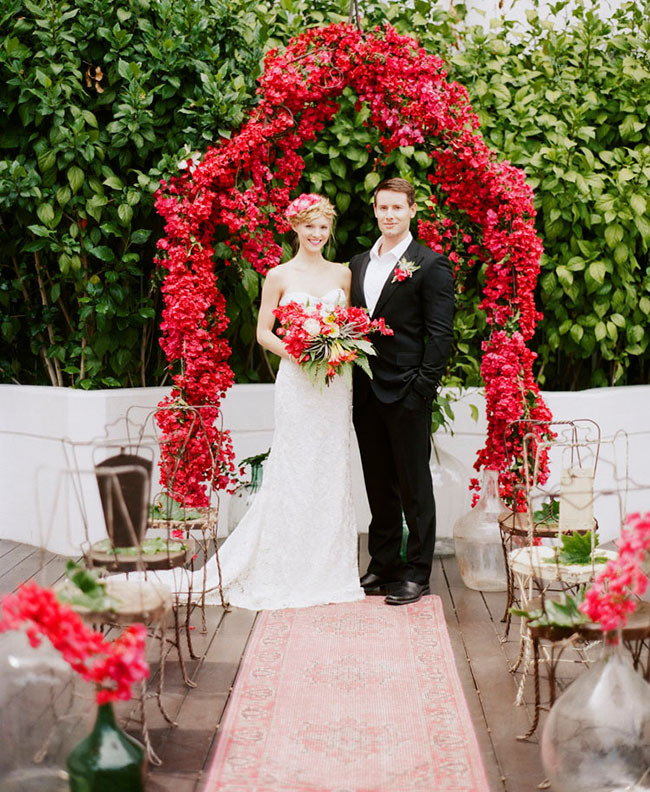 I am majorly loving the stunning florals created by The Vine’s Leaf – especially the use of bougainvillea in the ceremony design (reminds me of the gorgeous ceremony set up from this other recent feature!) So, so pretty! 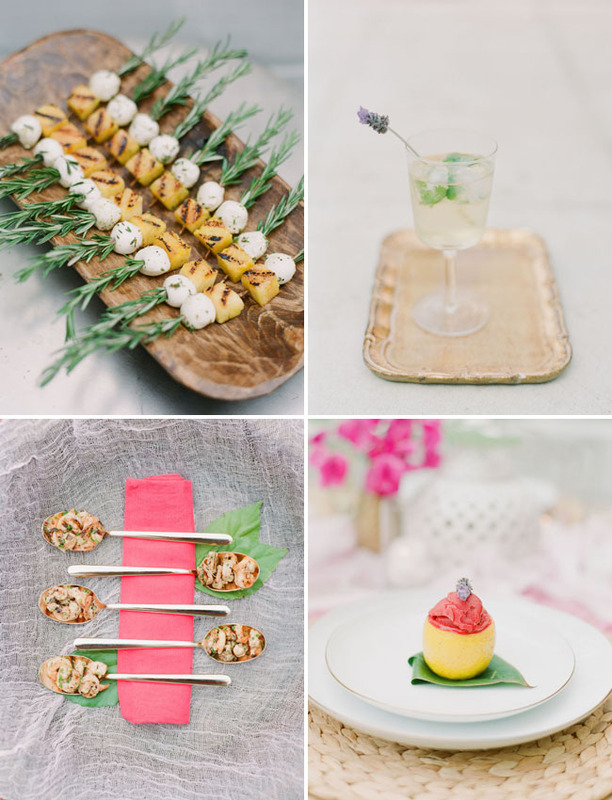 From Be Inspired PR, From the beginning, we knew we wanted to create a wedding that captured the essence of summer. 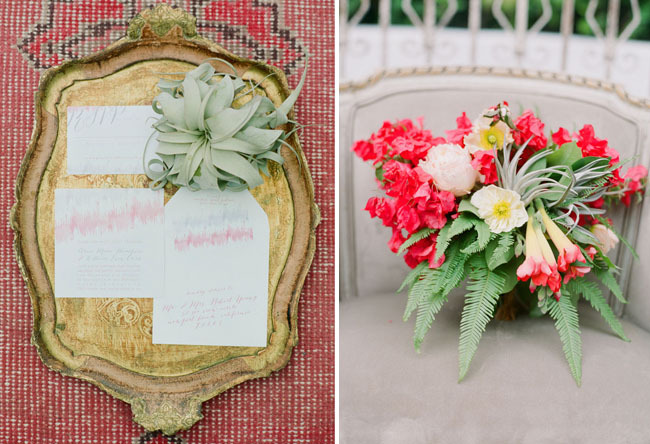 GATHER Events did just that when they came up with a playful yet elegant color palette and a design board full of lush florals. 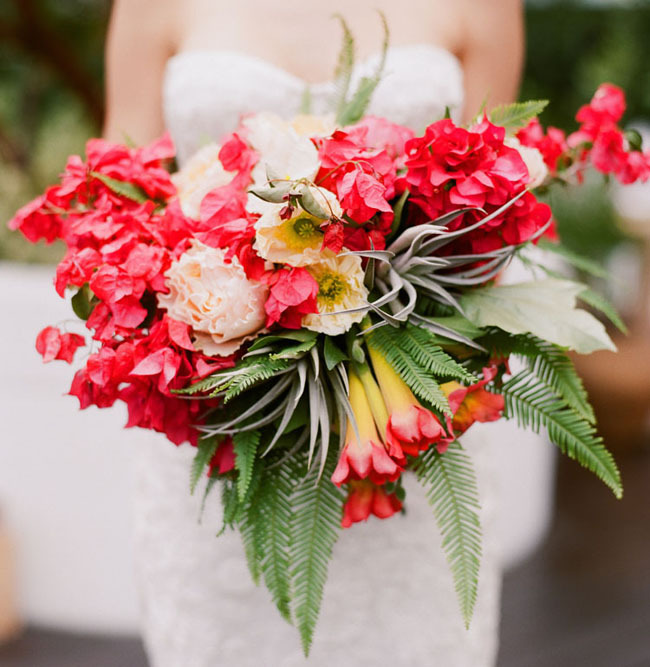 Summer weddings are all about embracing bold colors and patterns, rich florals and greenery and a playfulness that can only be found under the sun. 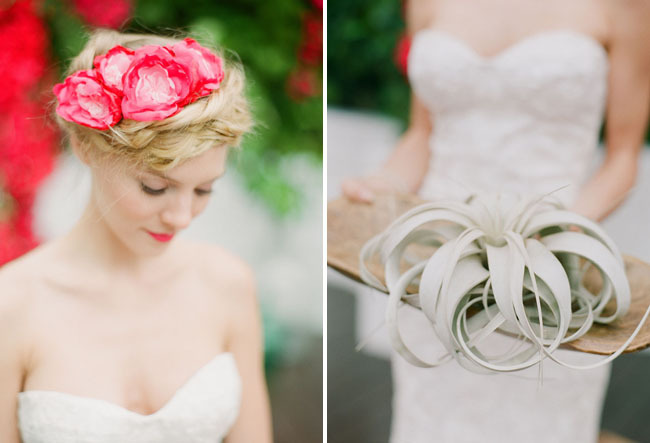 And everything is so gorgeously captured by the amazing Caroline Tran! 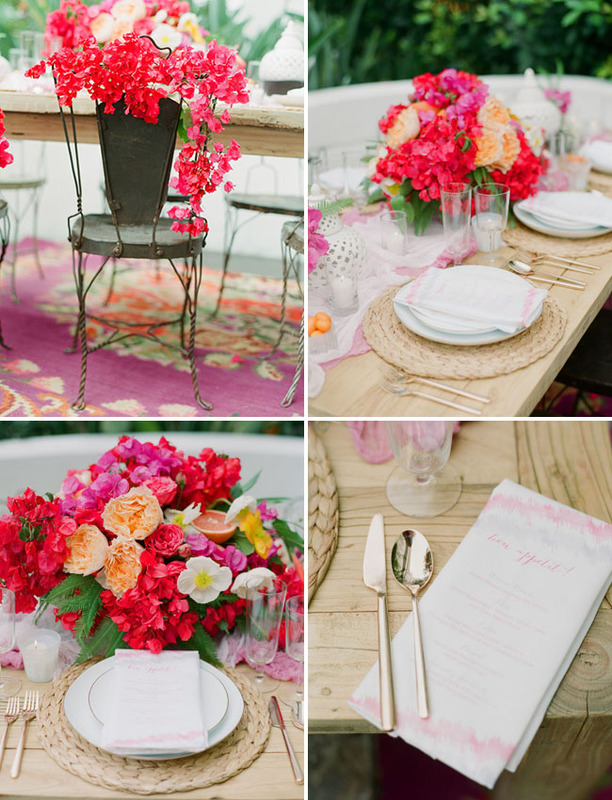 We brought in fun details to perfectly bring our vision to life – ikat pattern, water color details, bold pops of Bougainvillea and Jacaranda, accents of fresh grapefruit and earthy, wooden details. 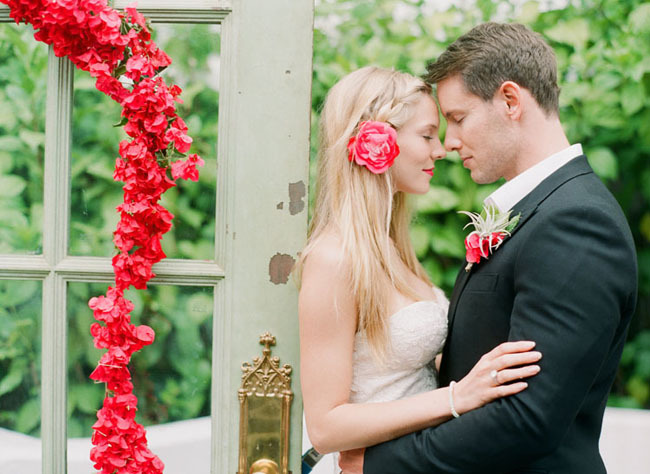 The wedding gown we chose from Kirstie Kelly perfectly embodied our “sweet with a touch of spice” vibe. 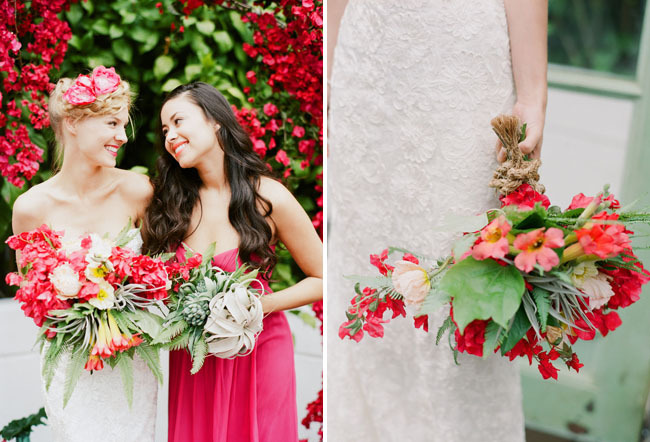 We paired it with a punchy fuchsia bridesmaid gown from Jenny Yoo. 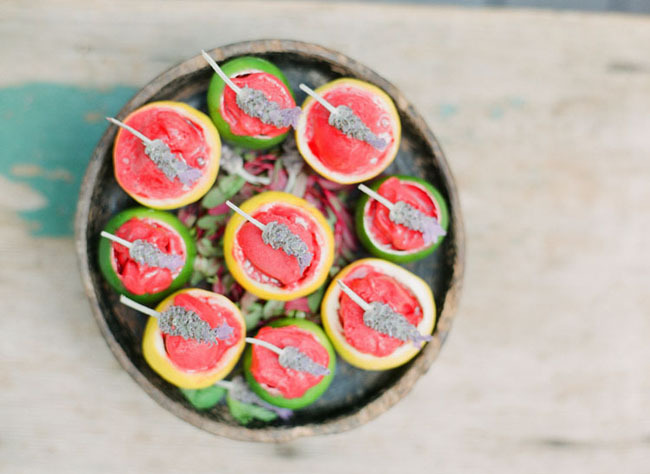 The menu sounds so good, with yummy eats like a heirloom tomato salad with grilled watermelon + baby beets and harrisa-marinated lamb with candied kumquat! 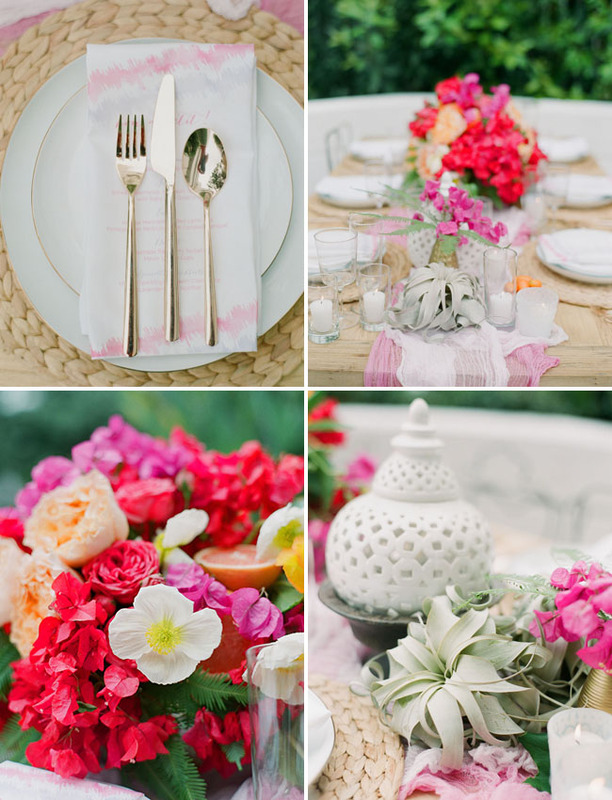 Great inspiration for alfresco dining at a summer wedding. I hope you enjoy this shoot as much as I do! See Rue issue twenty in it’s entirety here for tons of amazing inspiration ranging from fashion to interiors to recipes and more! What is this color called? It is stunning. Red-coral? 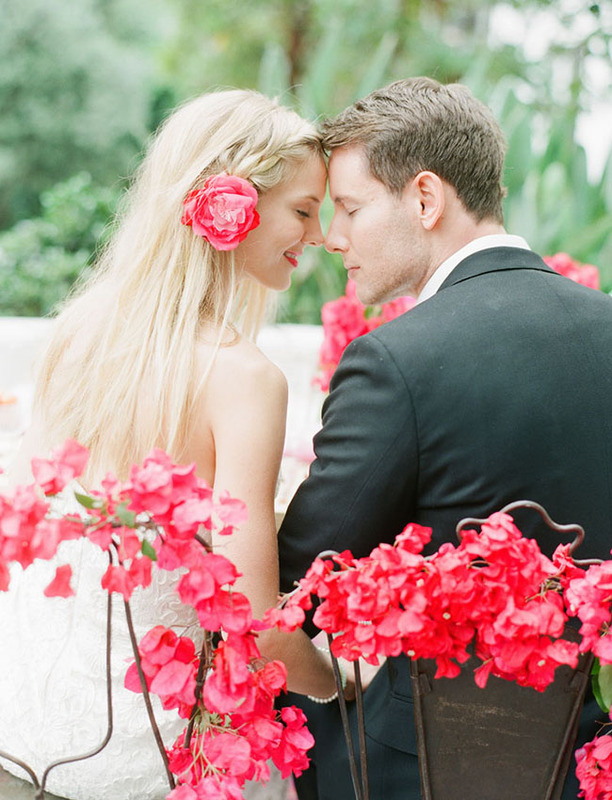 We loved being part of this shoot! 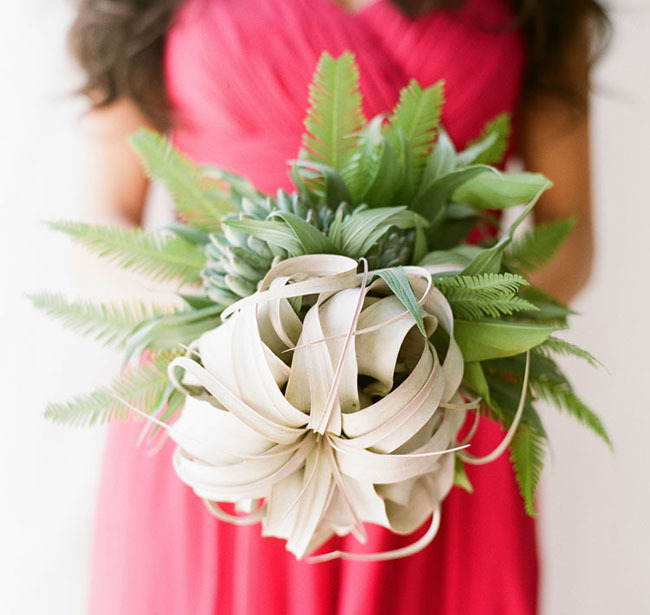 Thank you, Green Wedding Shoes, for the feature! Just love the beautiful bright colours! Just gorgeous! 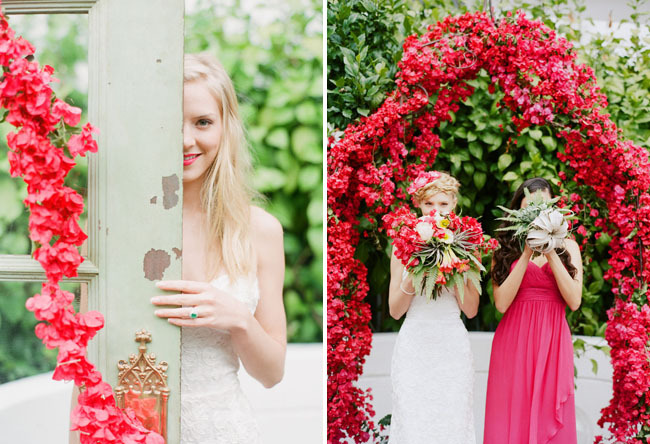 There’s something about bougainvillea that is so beautiful and I love the fact its the focal element of this inspiration shoot cos in that shade of red, it’s breath-taking! 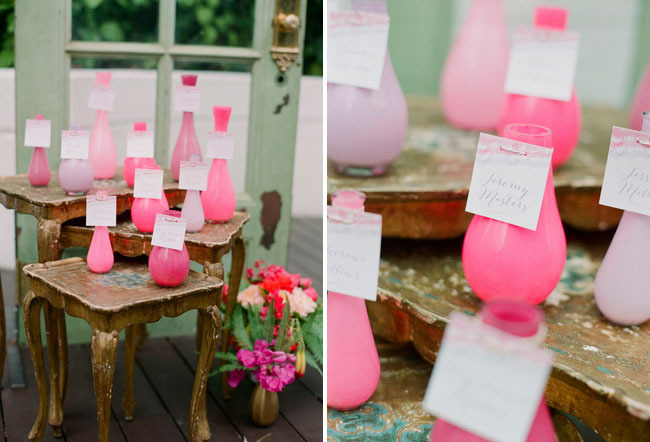 Love all the details featured here (pairing the bouquets with cacti was a lovely touch too).. the wedding invitations/stationery with the coloured glass vases/tumblers another great idea. Great stuff! Kudos to GATHER Events! omg that color! 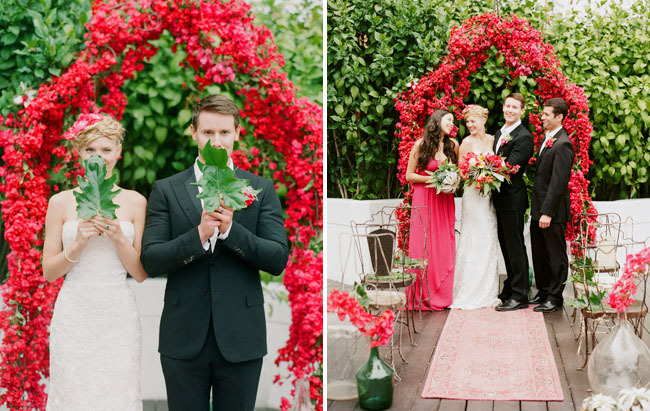 its so fun and it makes the wedding look so pretty! Caroline Tran is amazing – beautiful shoot! 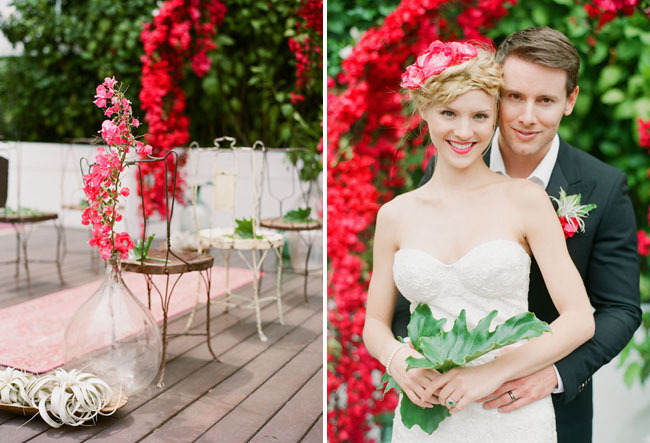 Yes, the red and watermelon colour if stunning but I really love this couple, they look so in love, happy and in harmony. Very cute. 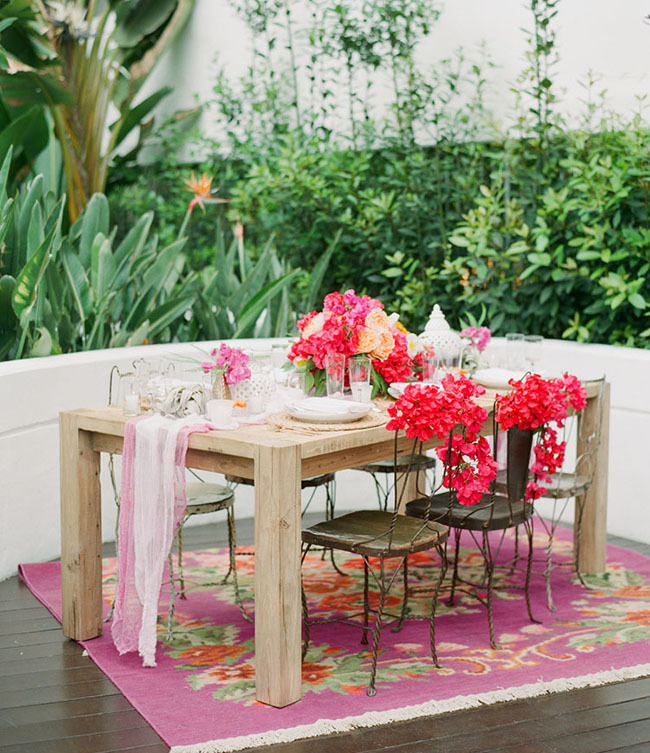 Love the tables and flower bouquet. Neat! 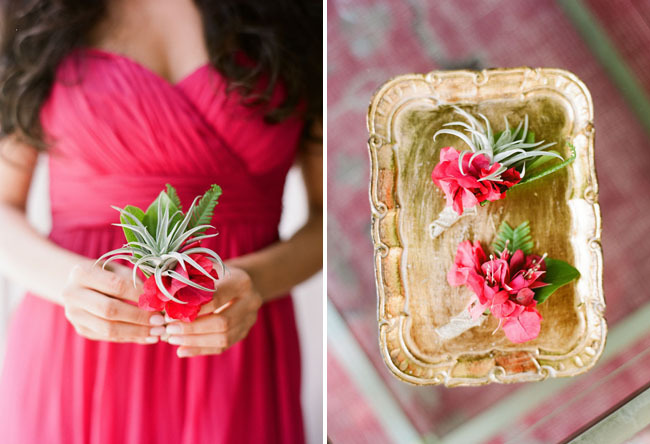 I LOVE the florals! Absolutely gorgeous.